If you’re looking to buy a water heater or have your current heater fixed, you’ve come to the right place. 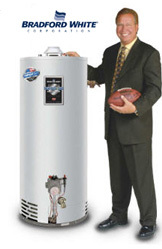 We are Water Heater Specialists which means that we can save you both time and money. We know how precious and valuable your time is. We are very efficient at what we do. When we show up at your house, we have your American water heater in hand and we come ready to solve your problem. We typically save our customers a couple hundred dollars on every job that we do. We can replace all brands and Repair all Brands. Call us with any questions that you may have. Consumer Grade Junk Sold in Big Box stores. Avoid! Traditional storage hot water heaters are typically run by gas or they’re electric powered. Most water heaters come in a variety of sizes. Power sources typically vary by geography. For example, in Southern California, the most popular type of water heaters are gas powered. If you need us to fix your water heater, we can do that quickly and easily. 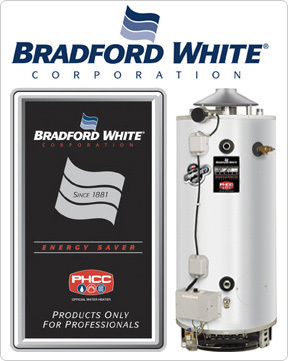 Both residential gas and electric water heaters come in a variety of sizes. Most homes have a tank that holds 40-50 gallons, with the 50 gallon hot water heater being the most common. Larger tanks such as a 75 or 100 gallon tank are only usually utilized for huge properties and for homes that have a Jacuzzi. In addition to repairing water heaters for homes, we also service and repair commercial water heaters for large restaurants and commercial buildings, including apartment and condo complexes. We carry Noritz Commercial Tankless Products with many options. Many customers are interested in large tank instillation, particularly if they had a large soaking tub or Jacuzzi installed recently. We handle tank upgrades extremely often. If you’re upgrading from a 40 gallon hot water heater to a 100 gallon heater, there is something important to keep in mind. Usually, the size of the vents on gas water heaters needs to be increased when a larger tank is installed. Our experts know how to do this safely and efficiently. The reason that it’s crucial to have larger vents with a larger tank is that big tanks emit a higher volume of carbon monoxide. Before we install a larger tank, we will have a consultation over the phone with you and make sure that you have the adequate space for one. Were Clean, Quick & Fair. Always Done Right, Guaranteed!